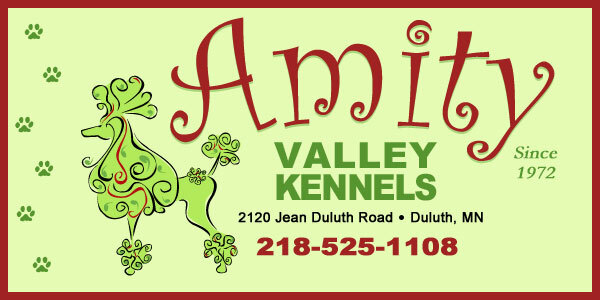 We are Duluth's only full service kennel that is fully licensed and bonded. At Amity Kennels we set the area standard, with the most modern boarding and grooming facility. 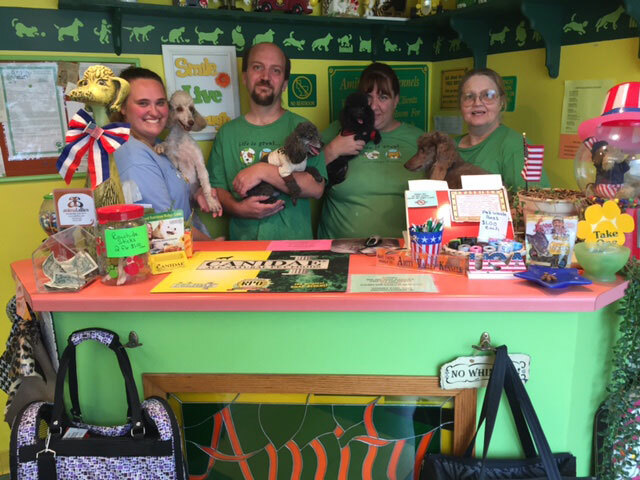 Anne Seppo, the owner and finishing groomer is a retired all breed professional dog handler. The owner, Anne Seppo, is a retired Special Ed teacher. Anne was raised with horses, Dalmatians, Weimaraners, lots of mixed breeds and at one time had 26 cats and kittens. Besides the miniature (since 1969) and toy poodles (1972) Amity has been the home of Dobermans, a Great Dane, a German Shepherd and a Champion Airdale Terrier. As an all breed show dog handler, Anne specialized in Maltese, Chihuahuas, Shih Tzu, all 3 sizes of poodles, Afghans, Bichons and all Terriers. With hiking trails close by, Amity is the perfect "country" yet in town setting for walking you dog should you be in town on vacation.